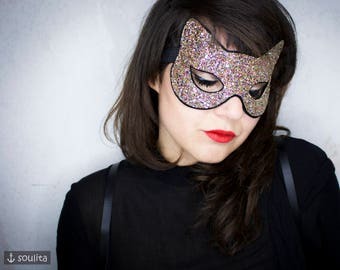 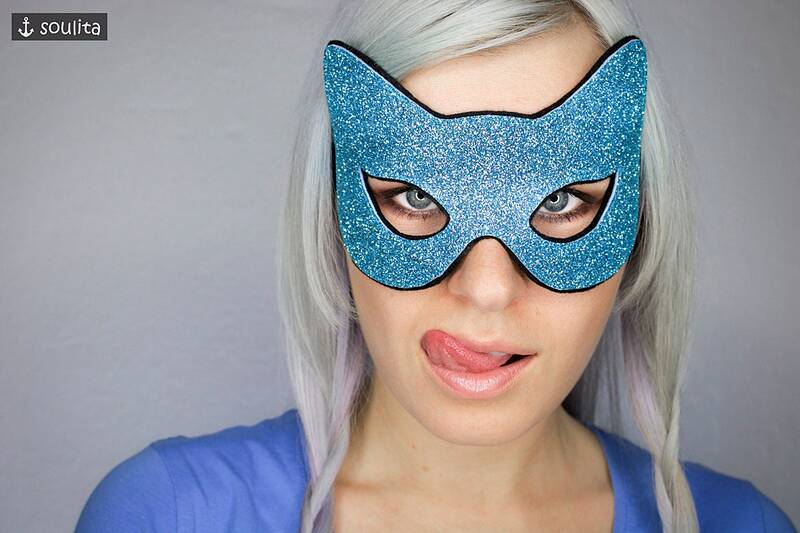 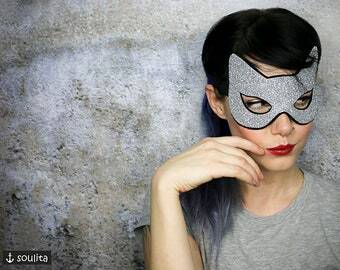 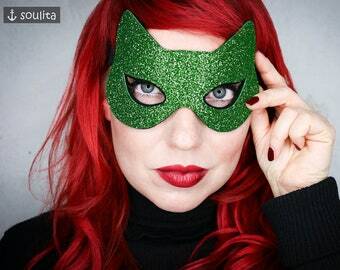 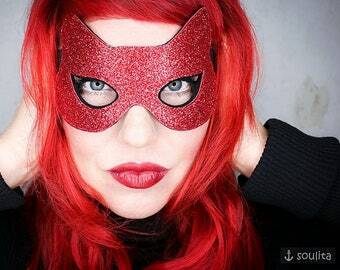 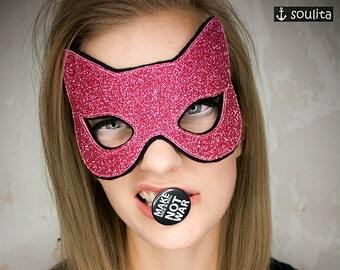 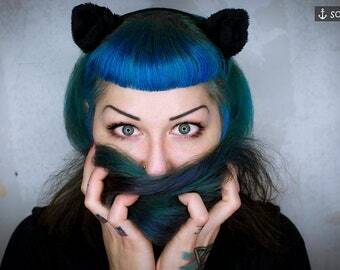 No problem by wearing this stylish sparkling cat mask made of blue glitter felt. 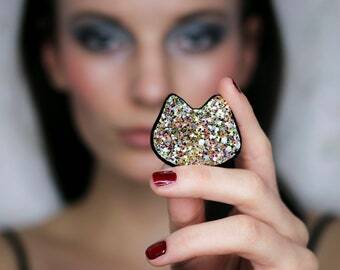 Light weight and fluffy black felt inside. 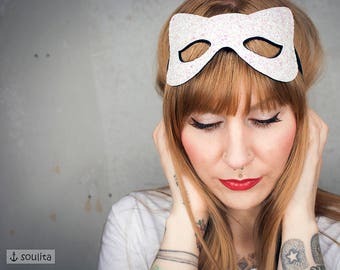 Fits perfect through a flexible custom made rubber band.